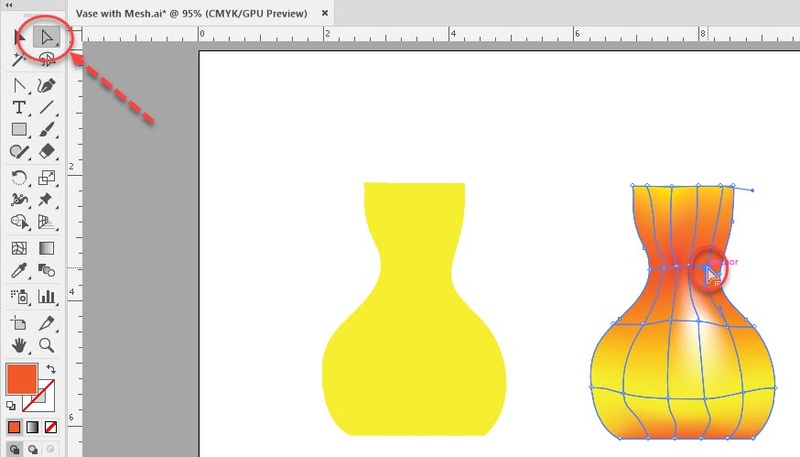 The first thing is to create the outline of the object. 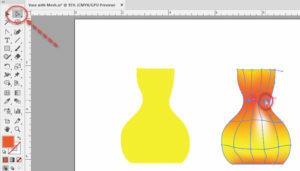 I’ve laid out a simple vase-ish kind of shape for demonstration. It’s supposed to narrow down at the neck and bulge out a bit near the base. Now, art theory says that if part of an object “protrudes” toward the viewer, we paint it a little lighter as more light would strike it (the end of the nose, for example). And a part that “recedes” (say, the space under the chin) would be shadowed, and therefore a little darker. 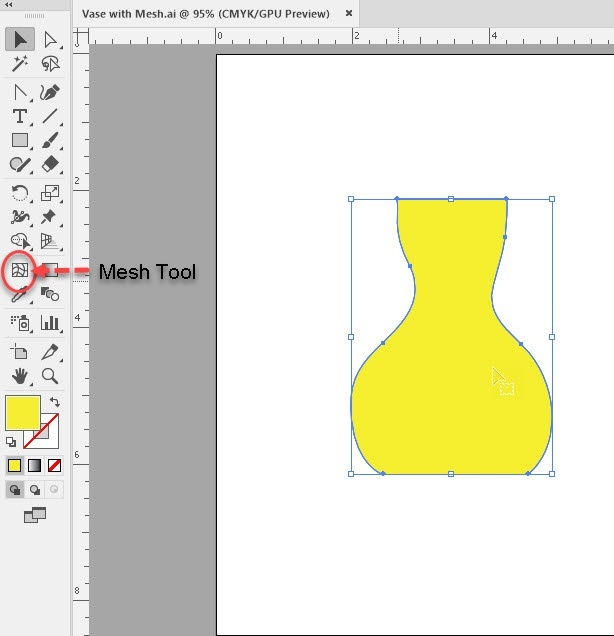 So we select the object, select the Mesh tool, and click inside it, usually near the center. This puts one horizontal and one vertical mesh line on it. We can then add more by clicking on either of those, as many as we want. The real-life example might be looking at a globe of the Earth, seeing the latitude and longitude lines that make it “look” round even aside from seeing the highlights and shadows on it—the lines help us perceive its shape. But that isn’t the real power here. We can now use the Direct Selection tool and click on an anchor point where mesh lines meet, and add another fill color that leaks or diffuses out from the selected anchor point(s). If you imagine a white towel absorbing fruit punch, or grape juice, a little here or there, you have the idea. And the control handles emerging from the anchor points not only control the shape of the lines, but how far the color spreads from the anchor. And the best part is, you can always go back and adjust some more. 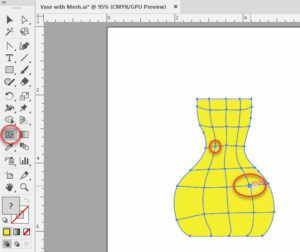 Add mesh lines, add colors, remove them, adjust the shapes, all as you like. Some time back, the cover of the box for Adobe Illustrator showed a reproduction of Botticelli’s Birth of Venus (the “Venus on the Half-Shell”), done in the program. What I did here, with some refinement, is how all the delicate flesh tones and shadings were done to almost exactly duplicate Botticelli’s work. 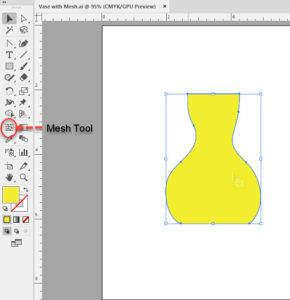 Can we do “real” art in Illustrator? With meshes, I think we can.